› Home › Browse Ecoprojects › Ecoprojects to Fund › Let's go Ecoparc ! Note: Donations start at 5 euros. Up to 15% will go to project transaction costs such as PayPal and money transfer. For more information please read the FAQ. 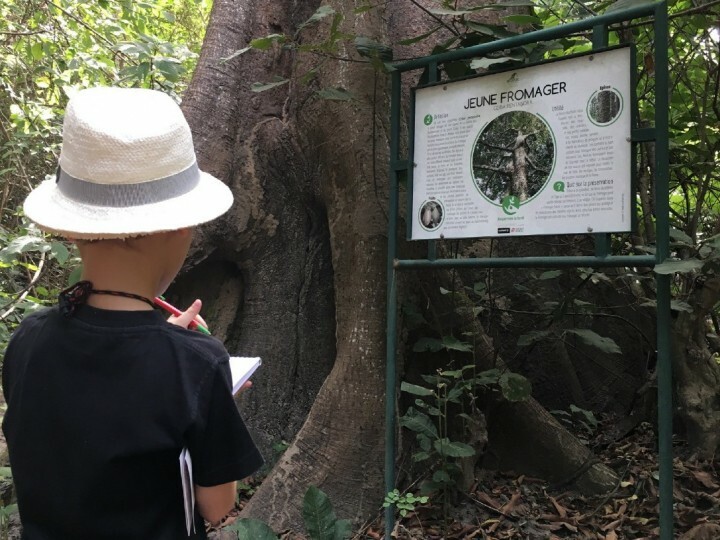 Following the request of an increasing number of Anglophone visitors we would like to add an English version to the 32 French information panels about the forest’s fauna and flora situated alongside the two ecological trails. By becoming the first privately managed protected community forest reserve in Senegal, Ecoparc is a proof of what passionate people can accomplish together. One year after its official opening, we are back in the Ecoparc accompanied by our 3 young children. It is an immense pleasure to escape from the dusty and busy streets of the capital city Dakar into this green lung of Casamance and to see our kids listening attentively to the explanations of forest guide Jean Michel about the life inside the huge termite mound or about the sausage tree and the medicinal virtues of its fruits. Thanks to the engagement of the Ecoparc team all information panels alongside the two eco trails are well-maintained despite the rain seasons and the dust and salt winds from the nearby ocean. The tourism into the Casamance region revives slowly thanks to the recent termination of travel restrictions imposed by European embassies. Thus, Ecoparc registers also more and more foreign tourists. “Thanks to nearby boarder with Gambia, more and more Anglophone tourists come to visit the Ecoparc. Recently a Polish tour operator included a visit to Ecoparc into his circuit from Gambia. 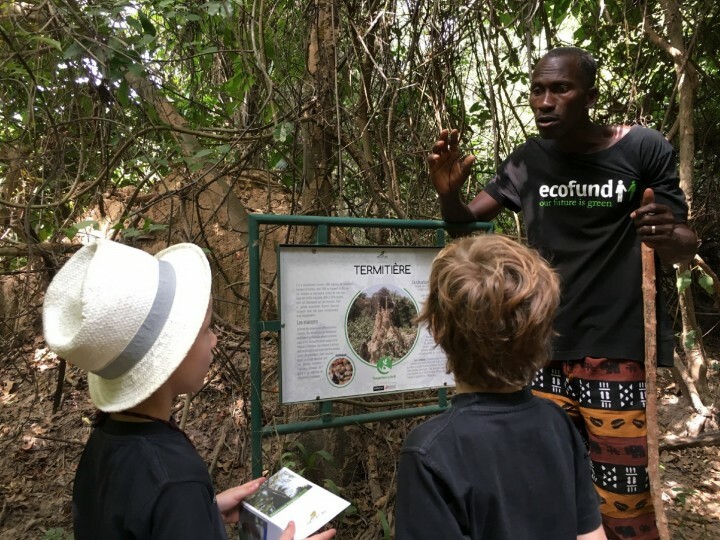 Because the tourists coming from Gambia usually do not speak French, we would like to place also an English version of the 32 French information panels alongside the two eco-trails and so spread even further the information about the importance of protecting our forest” says Augustin. The Ecofund Community is solicited to help financing the costs of printing aluminium plaques of the English version of the 32 information panels. Furthermore, because the Ecoparc is situated far from the neighbouring villages and hotels, Augustin would like to acquire two bikes for his Ecoparc team to facilitate the provision of the Ecolodge and the contact with tourists wishing to visit Ecoparc. APES, Ecofund and its Community will contribute in kind to the project by installing the panels and by translating the content of the information panels into English: Thanks to our contributors Anne-Mai for translation, and Karima, Jan and Camilla for grammar and spelling check! 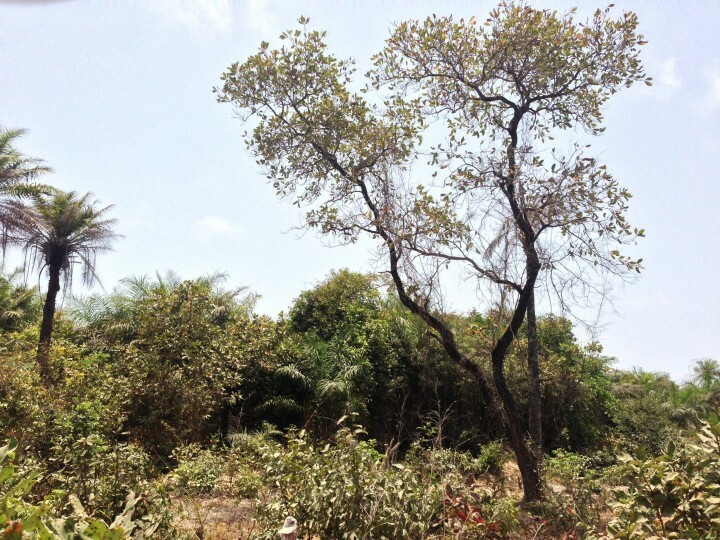 As in the past, your support thanks to the community based and participatory approach of Ecofund is an important pillar in protecting 32 hectares of this beautiful endemic littoral forest in the south of Senegal, next to Augustin's village of Diembereng in Casamance! Ecopartner for Let's go Ecoparc ! The wild mango tree, also known by its scientific name, Mangifera indica, is a species of the Anacardiaceae family and of the Mangifera genus. Its local name in Diola is Nimangara. 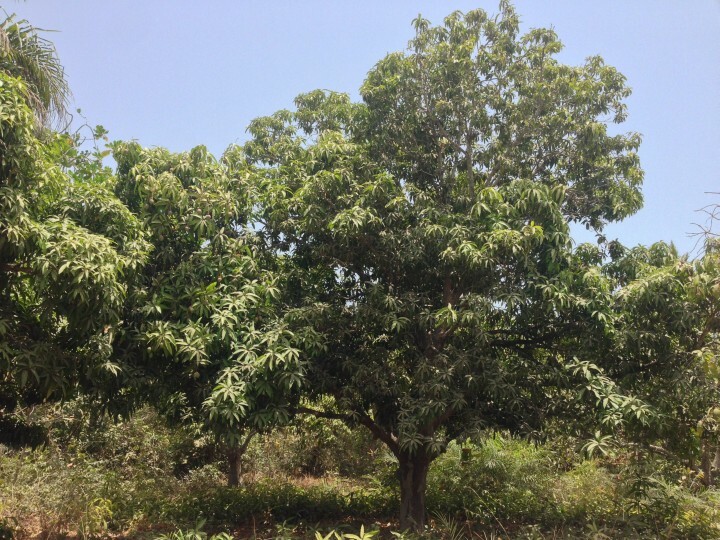 Mango trees are generally native to India but the species which grows in the Ecoparc (‘Wild Mango tree’ or ‘mango diola’ in Wolof) has always existed in the tropical forests of Africa. 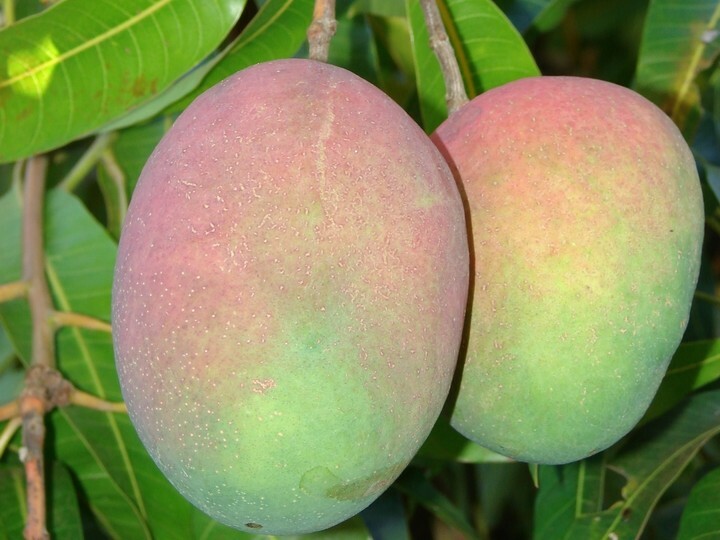 Contrary to other mango trees, the wild mango tree grows small stringy mangoes that are not very popular in the market. The cultivation of the mango tree is easy. The species will grow anywhere, although preferably in deep fertile soil. It needs space to grow. The mango tree is home to monkeys, birds and bats. 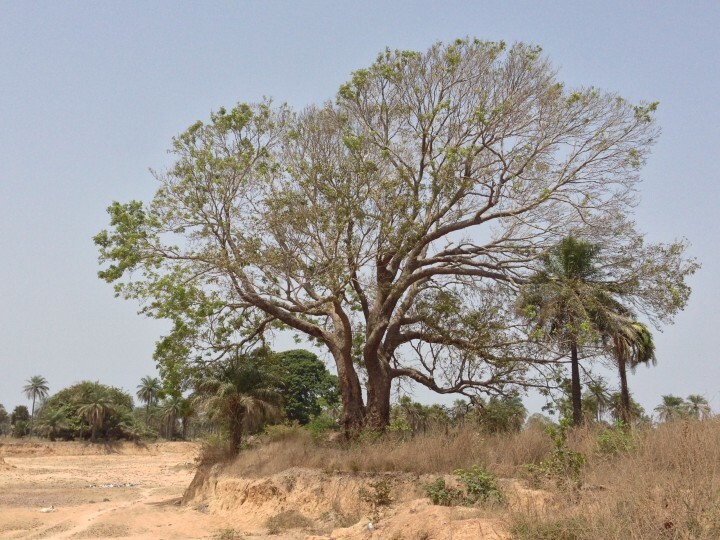 Because the wild mango tree is overexploited (not just for its fruit but also for its wood), it has become an endangered species in the forests of Casamance. In contrast to other mangoes sold on the market, wild mangoes are small, with a stringy and slightly acidic pulp. They are mostly eaten before they are fully ripe. Jam can sometimes be made from them, or a juice full of vitamins A and C. In Senegal, the leaves of the tree are well-known for their antiseptic and anti-tetanus properties. They can also serve as fodder for cattle. Mango tree wood is used in cabinet making and to produce charcoal. Wild mango kernels are better planting seeds than the kernels of the other mango types. Therefore, it is preferable to plant wild mango trees first, and then replace them with other species. 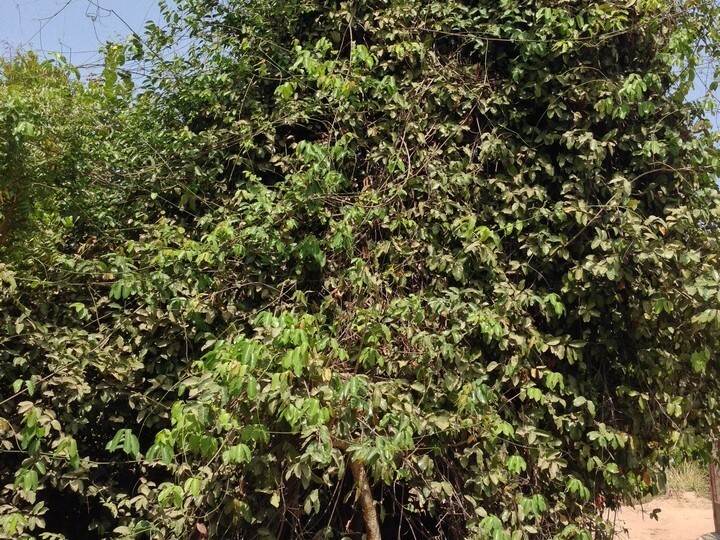 Mad, as it is known locally in Wolof, also known by its scientific name, Saba senegalensis, is a species of the Apocynaceae family and of the Saba genus. Called Nindif in Diola, the mad is a tree made of very resistant lianas (long-stemmed, woody vines). The seed dispersal is carried out by animals. 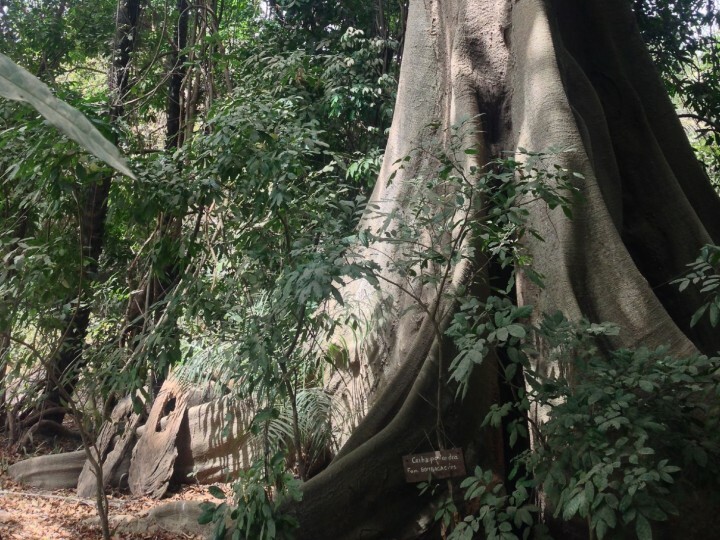 Although the diameter of the lianas at the base is no more than 15cm, the trees can reach more than 30m in height. They hook themselves to branches of other trees that are bigger and sturdier, like the kapok or the mame patan. Animals like monkeys use them to climb the taller trees. 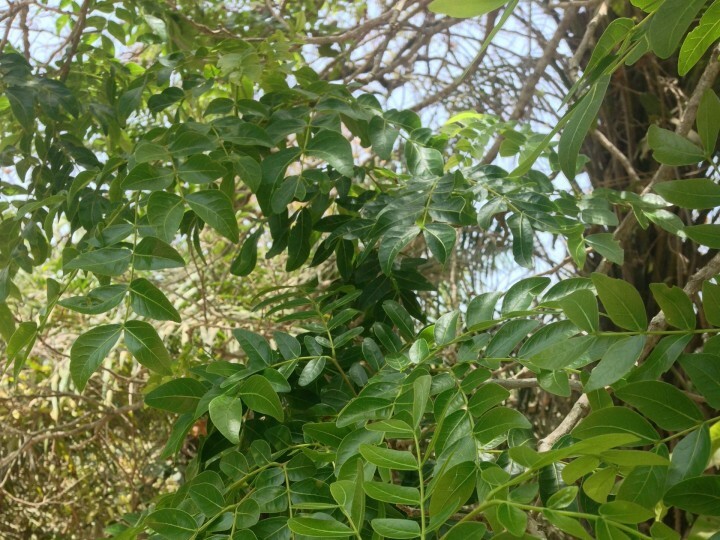 Mad grows in the Sudanese-Guinean environment and is therefore very common in the forests of Casamance. Bush fires and abusive extraction of its roots are the biggest perils for this species. The fruit, called by the same name (‘Mad’ in Wolof) is edible. The seeds are covered with a mellow soft pulp. Whereas it is not advised to eat them, the skin covering the shell can be eaten. Mads are rich in vitamins, particularly vitamins B2, B6 and C. Because of their slightly acidic taste, animals like them a lot, especially monkeys. Mad juice is a popular drink in Senegal. In traditional medicine, the roots are used to cure enuresis (bedwetting) and Mad leaves in a steam bath cures vision problems. In the Diola communities this species is used as a wall or a curtain to hide what is happening in the “sacred woods”. 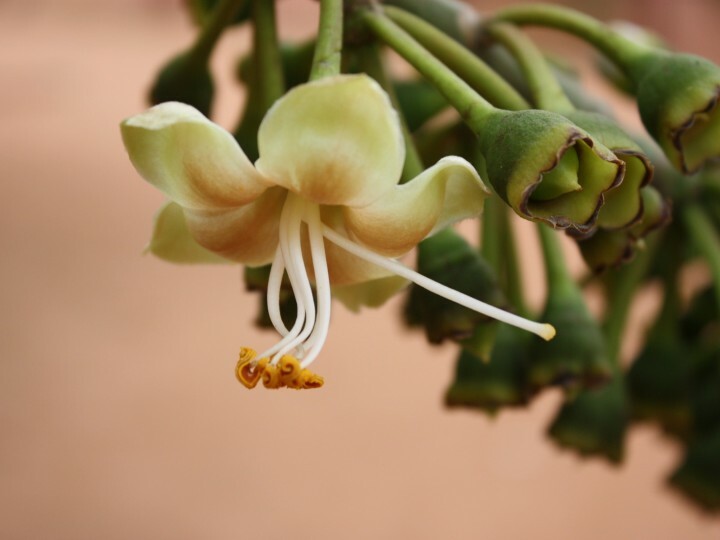 Linké, as it is known locally in Wolof, also known by its scientific name, Afzelia Africana, is a species of the Caesalpiniaceae family and of the Afzelia genus. Native to West Africa, this tree grows in the Sudanese savannahs and also in tropical forests, from Senegal to Uganda and Tanzania. In Casamance the species is more present in the protected forests of Kalounaye and Tendouk. The tree can reach 20m in height. Its trunk is often without branches on its lower half. The young plants are vulnerable to fire and often get eaten by cattle. Linké, which is also called African mahogany, is so popular on the international market that the species has become endangered in many regions. The seeds are added to wheat flour and eaten, but only in small amounts. They are mostly pressed to produce aromatic oil for the cosmetics industry. They are also used as pawns in some games, like the game of awalé. The bark is a remedy against paralysis, constipation and it is also used for veterinary treatments. The pulp of the fruit cools down fever and is a traditional remedy against leprosy. The leaves treat oedema (fluid retention). Linké wood is waterproof and resistant to termites: for these reasons, it is used to build pirogues and is very popular among craftsmen. Linké seeds often serve as talismans in maraboutage practices (magic practices). Dense and thick vegetation in the tropical forests makes for hard living conditions for species. All species are engaged in a permanent competition to reach sunlight. The choker fig trees have developed a strategy of their own to dominate other species in this competition. The seeds of choker fig trees are often left in bird excrement on the top branches of other trees. From this position the fig tree starts to grow aerial roots down to the ground, while its branches grow upwards to catch more light. The process goes on until a trunk is formed thick enough to bear the branches. 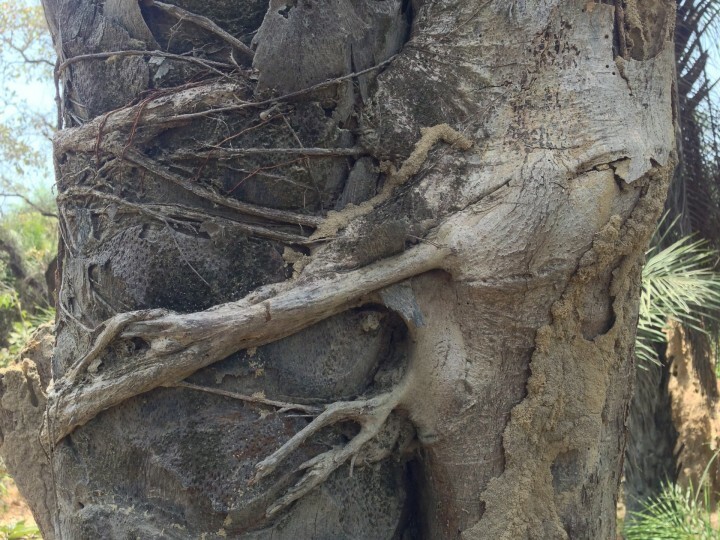 At this point, the fig tree has generally strangled the host tree so much that it dies. What all fig trees have in common is their ability to grow fruit, which animals love to feed on. In traditional medicine, the bark mixed with hot water is used against coughs and hypertension and the sap of the plant heals wounds. The wood can be used as fuel. The trunk, which has remarkable patterns, is used to decorate houses after the plant has died. 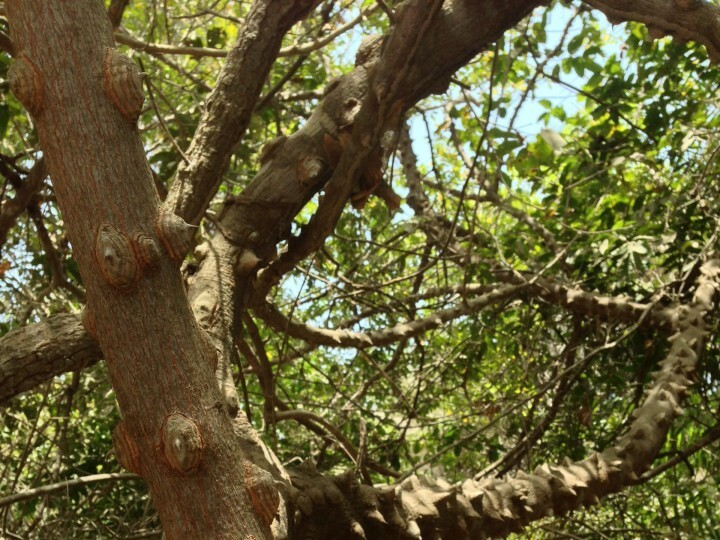 In spite of its name, the choker fig tree plays a vital role in the ecosystem. This is because the fig tree is one of the rare tree species that bears fruit all year round. Thus, one single tree can be home and provide food for many birds and mammals. The Ficus tree, also known by its scientific name, Ficus gnaphalocarpa, is a species of the Moraceae family and of the Ficus genus. Its Diola name is Nifoufina fourka. 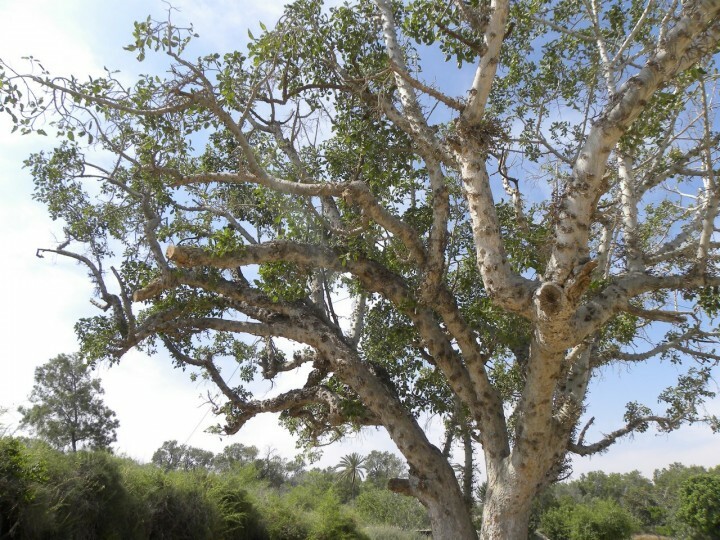 Ficus gnaphalocarpa is native to Central Africa and can be found from Senegal to the Northeast of South Africa. The tree generally grows in rich soils, along rivers and in mixed forests. The species propagates well, whether naturally or from cuttings. Unlike the “choker fig tree”, Ficus gnaphalocarpa develops by itself, without the support of another tree and grows to a good height. 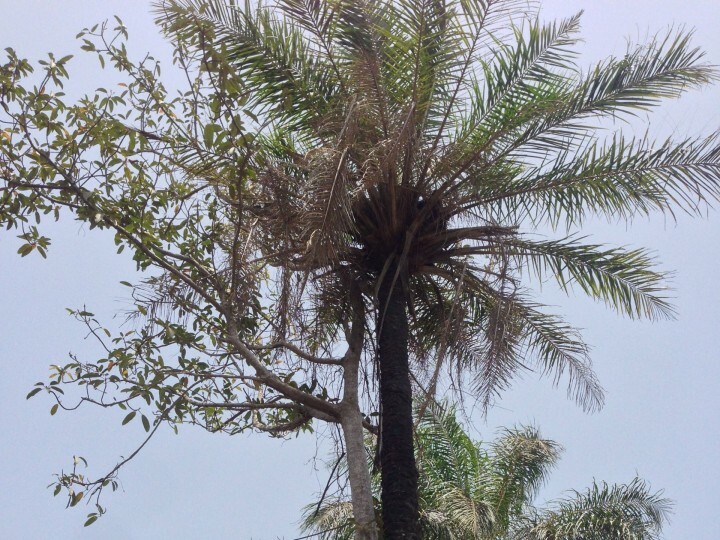 It is a very common tree in Casamance. 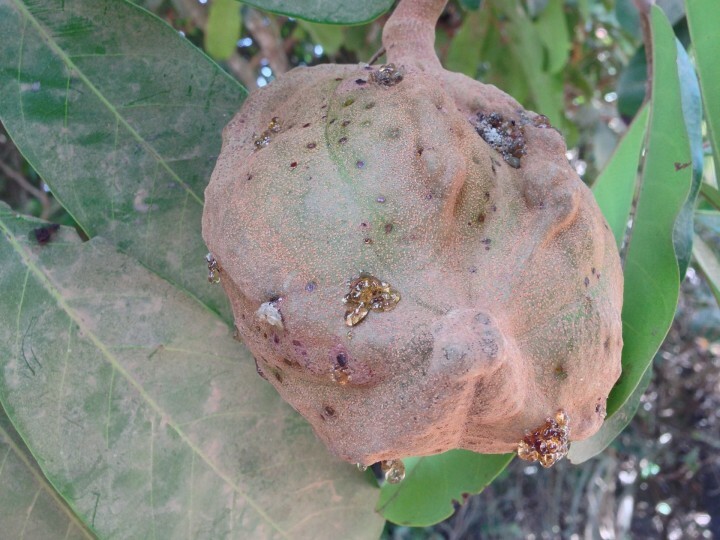 The fruit of the ficus, figs are often covered by insects. They are nevertheless a treat for green pigeons, snakes and humans. The bark, mixed with hot water, cures coughs and hypertension. The sap of the plant is used to heal wounds. When mixed with ash it becomes ink for tattoos. Children also use it to paint their faces when playing traditional games. For the Peul people, the ficus is a protected species. It is forbidden to cut them down. One can only extract the sap and use it as writing ink. The Fara, also known by its scientific name, Piliostigma thonningii, is a species of the Caesalpiniaceae family and of the Piliostigma genus. Its name in Diola is Noubeumbe. Native to tropical Africa, the Fara is common in the whole Sudanese-Guinean area from Senegal to Cameroon. Whereas the tree can be 40m high, its slender trunk only grows up to 30 to 35 cm in diameter. The tree develops from seed sprouts or from regrowth of new shoots from the roots. The Fara adapts to all soils but it grows better in heavy clay soils or medium loam soils. Piliostigma thonningii is a species well suited to agroforestry, well adapted to mixed cultivation together with other plants. The young trees show little resistance to fires. 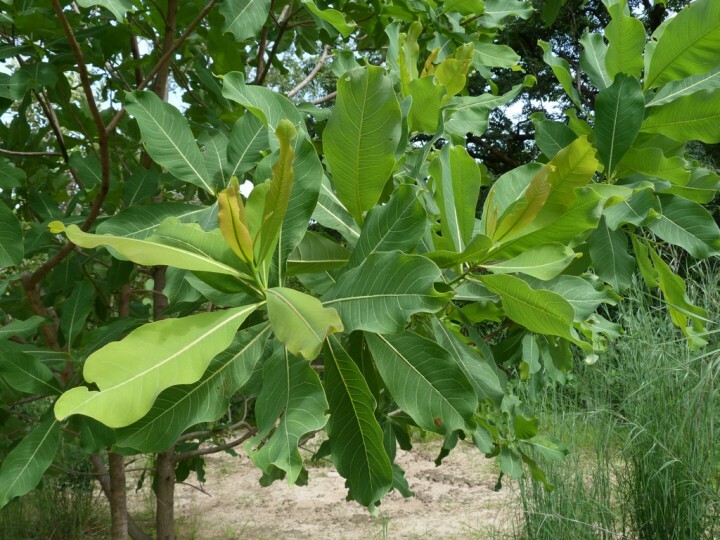 The Fara tree provides all kind of products for traditional medicine. 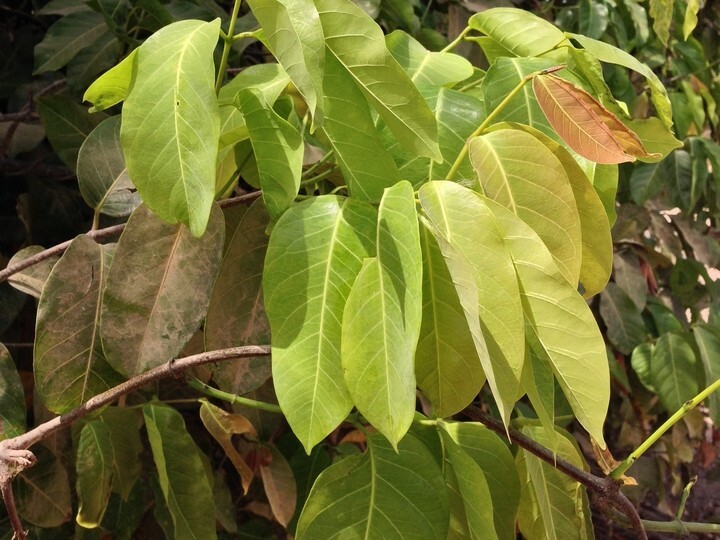 In Senegal, the leaves are used to treat dementia (degradation of the brain functions). The flowers are dried and crushed into a powder to be eaten, drunk or mixed with tobacco and smoked as a remedy against coughs. The fruit comes as a component in mixtures against coughs, bronchitis and headaches. Small slices of the fruit can be used as bandages on wounds. In case of toothache, one can drink a tea brewed from the leaves or chew the leaves themselves, boiled. Women also chew the bark of the roots to redden their lips. The Mandingue people use fara fibres to create a traditional mask named kankouran. Kankouran is a mythical being, keeper of the Mandingue values and customs. During the Mandingue initiation ceremony, the role of the kankouran is to protect the newly circumcised young men. The Fagarier, also known by its scientific name, Fagara xanthoxyloides, is a species of the Rutaceae family and of the Fagara genus. Its name in Diola is Nissédiende. The fagarier is a small tree, 7 to 10m high, and is mostly a wild species. It can be found in the forests of Western Africa and can live among other species. It bears small fruit, the size of pepper seeds: they are a treat to birds, which in return ensure the dissemination of the seeds. Thorns abound on the trunk and on the leaves of the fagarier: the tree is therefore a shelter for small animals against their predators. The fagarier plays a major role in traditional medicine. It is used as an antibacterial remedy against digestive problems, intestinal parasites and dental cavities. Its efficient use externally treats skin diseases and wounds. Tea made from its bark helps to cool down temporary fevers. 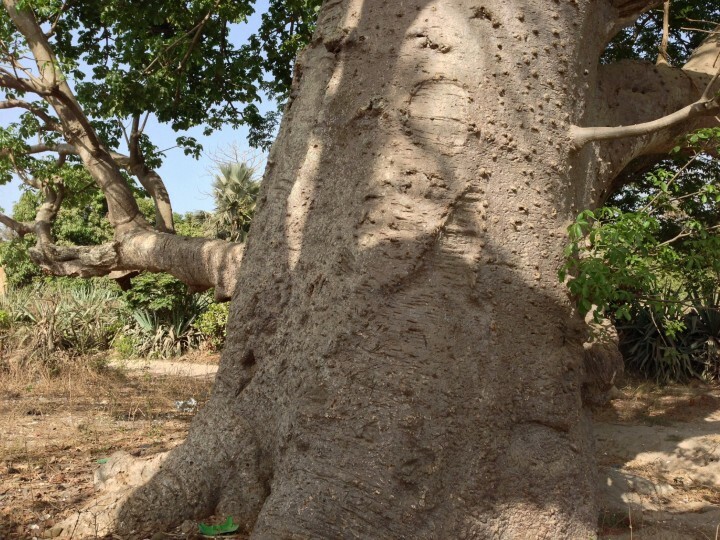 The trunk of the tree is used to carve the kadiamdou, a local agricultural tool used to plough the soil. During the Diola initiation dances small sticks are cut out of fagarier branches which only initiated men are allowed to carry. 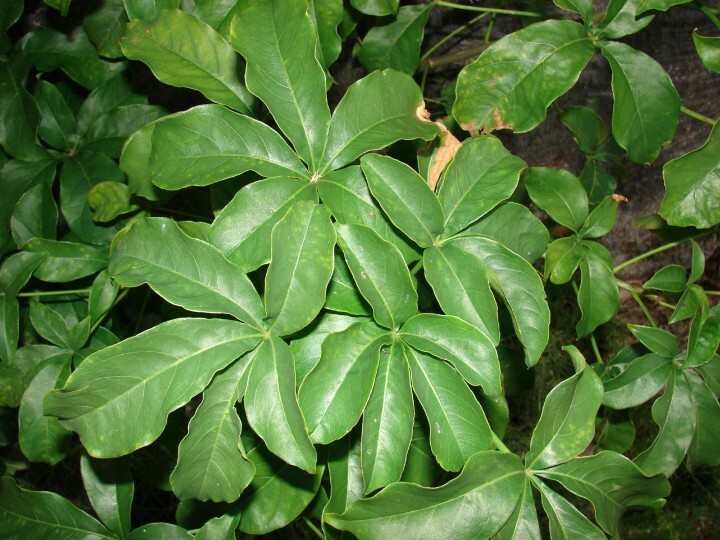 The Touloucouna, also known by its scientific name, Carapa procera, is a species of the Meliaceae family and of the Carapa genus. Its name in Diola is Noutognaye. Its natural habitat is Western Africa but it can be also found in northern Brazil. The tree can reach 35m in height. 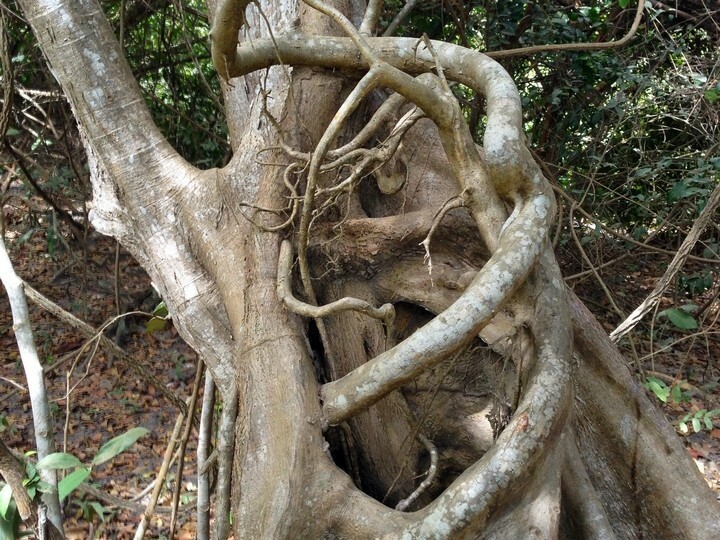 It can live together with other species and sometimes supports lianas (long-stemmed, woody vines). The fruit of the carapa is brown and the size of a small melon. 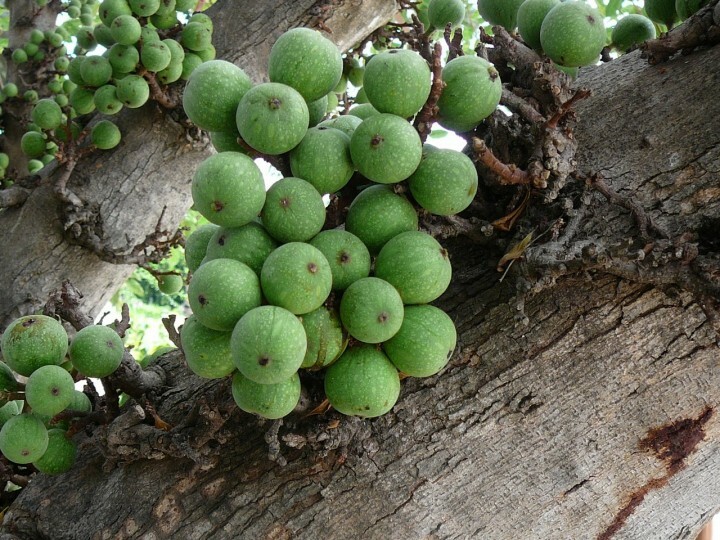 They open when ripe, showing small, pyramid-shaped nuts. These nuts can only be sown if shelled. Therefore, to propagate without the help of man, the carapa needs an intermediary: the nut has to be swallowed and digested by an animal (like a rodent), then defecated. The carapa often suffers from physiological problems, for instance water stress, changes in climate etc. 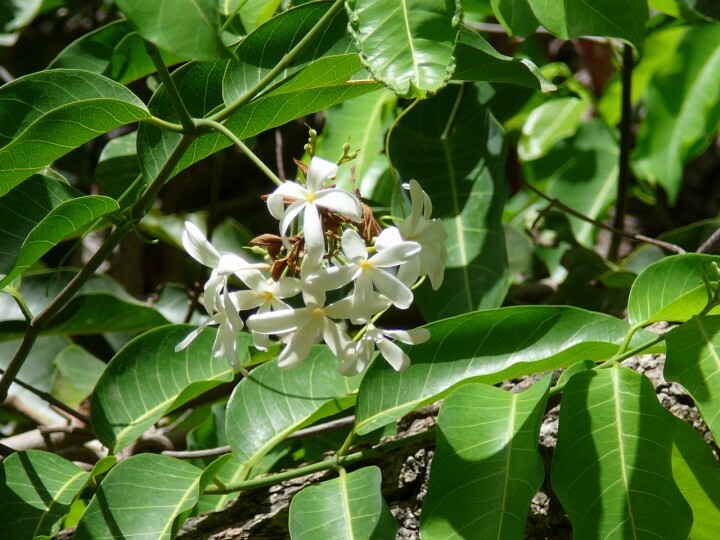 The carapa is an outstanding medicinal plant. Touloucouna (in Wolof) oil, extracted from the seeds, is a massage oil used to cure muscle ache, stomach ache and several skin diseases. The leaves are rich with minerals: they make a fortifying herbal tea, commonly drunk by women after giving birth. The brew from the bark is sour and curative: it cures chest pain, muscular pain, kidney diseases and hernias, in their early stages. The wood is resistant to termites and is used in cabinet making. Because of its medicinal virtues and its complex propagation process, the carapa is less and less present in local forests. For this reason, this species is included amongst those chosen by the Ecoparc to be part of its reforestation scheme. The Badamier or Terminalia macroptera, its scientific name, is a fruit tree of the Combretaceae family and of the Terminalia genus. Its name in Diola is Nifoguafong. Typical of the Western and Central African savannahs, the species has adapted to numerous tropical regions of Africa. The badamier is common in clear deciduous forests and in bushy and grassy savannahs. It can often be found by rivers, in poorly drained clay soils. The badamier is a small tree of 20m in height. Its trunk can reach 40 cm in diameter and its bark typically has deep cracks. The species can be propagated using its fruit (the badame, enclosing an edible almond) and with cuttings. 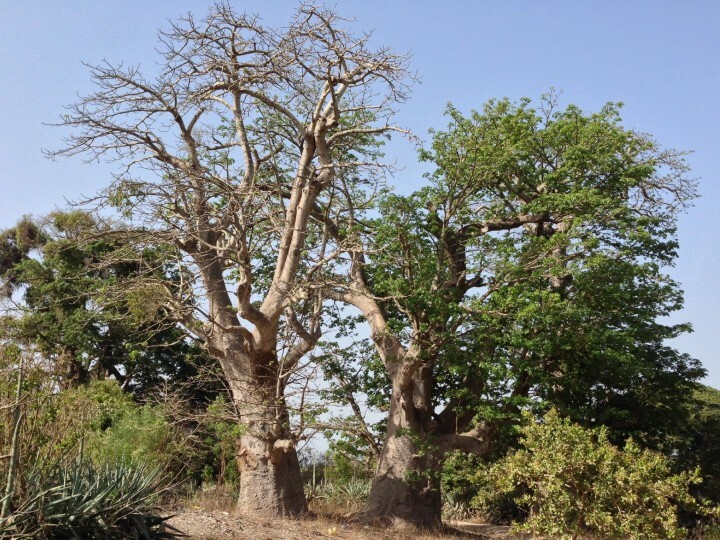 In spite of its thick and corky bark, which increases its resistance to fire, the badamier is locally threatened by overexploitation. 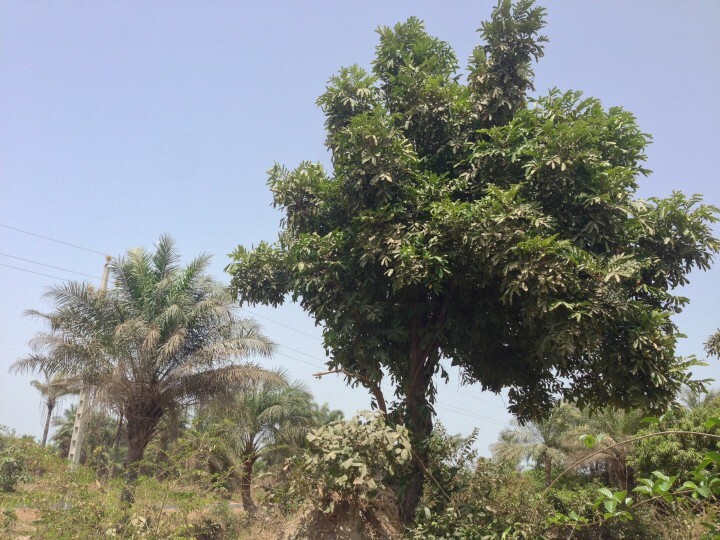 Terminalia macroptera is an important medicinal plant species in West Africa. Many different parts of the plant are commonly used in traditional medicine against numerous diseases. Tea made from its roots cures malaria, hepatitis, venereal diseases and eyesores. The roots are also used against depression, coughs, syphilis, urinary infections, female infertility, tuberculosis, snakebites and skin diseases. Juice from the bark cures earaches and the leaves are used against tuberculosis, fever and hypertension. In some African communities the leaves of the badamier are eaten as a vegetable when famine strikes. They are also fed to cattle during periods of drought. 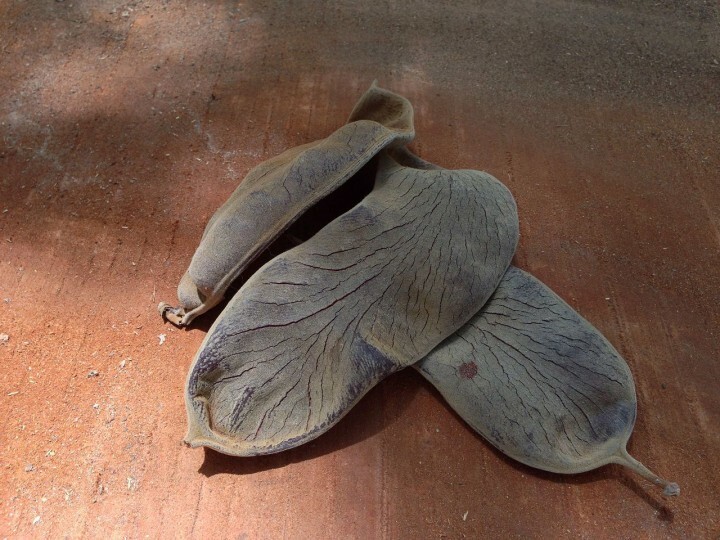 According to its scientific name, Kigelia africana, the sausage tree is a species of the Bignoniaceae family and of the Kigelia genus. 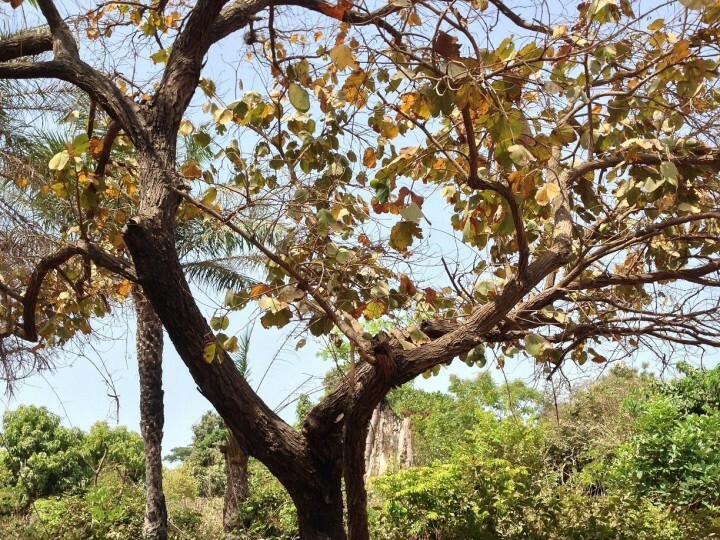 Named Nilimbankote in Diola, the sausage tree is native to Senegal and can also be found in the Sudanese and Guinean forests and savannahs. This tree adapts to its environment in a most remarkable way: for example, it needs another sausage tree nearby to grow its fruit. Also, the seeds borne by the very hard fruit cannot germinate unless they are first consumed and then defecated by an animal. Bats contribute to the pollination of the flowers, which open only at night, when they also release a foul odour. Because the propagation of the sausage tree happens in perfect symbiosis with the surrounding flora and fauna, the tree is very sensitive to changes in its ecosystem. The big, brown and fibrous fruit is seldom used as food, although it is sometimes cooked and eaten by local populations. However, its properties are well known and used in alternative medicine. The pulp of the fruit is used to firm the skin of women’s breasts, thanks to extracts called flavonoids. The dried fruit and the bark are used for their anti-inflammatory properties. The bark has even more virtues: it cures snakebites and toothache. Caution: the green fruit is toxic! The fruit of the sausage tree is used by the Diola countrymen to protect their anti-salt dams from aquatic animal species. The odour of the fruit when thrown in the water is so strong that it repels these animals. The Fromager/Kapok, also known by its scientific name, Ceiba pentandra, is a species of the Bombacaceae family and of the Ceiba genus. Its local name in Diola is Houdioufeii. In Africa, it can be found in tropical zones, in dense and rainy forests but also alone by itself. It can live up to 600 years through ensuring its self-defence throughout its life. When it is very young, the trunk and the branches are covered with thorns that protect the tree from animals. Once grown up, the trunk becomes smooth and develops strong buttress roots to become storm-proof. 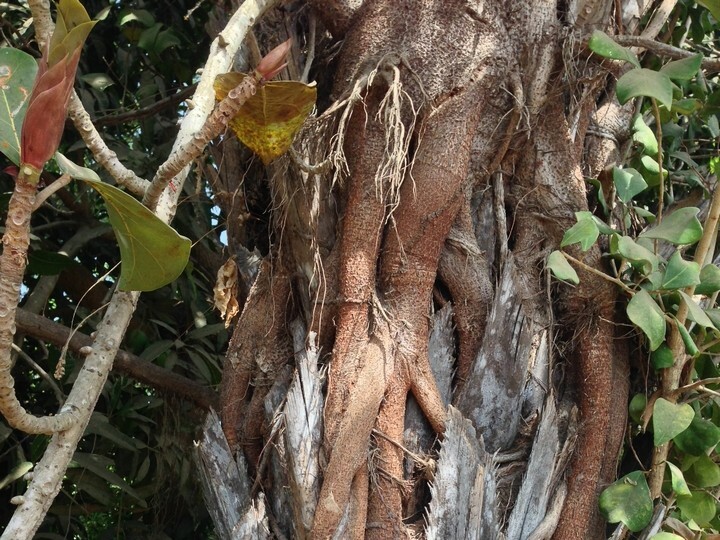 This tree can grow amongst many other species like lianas (long-stemmed, woody vines) and parasitic plants. The propagation of the species is assisted by the kapok it produces. 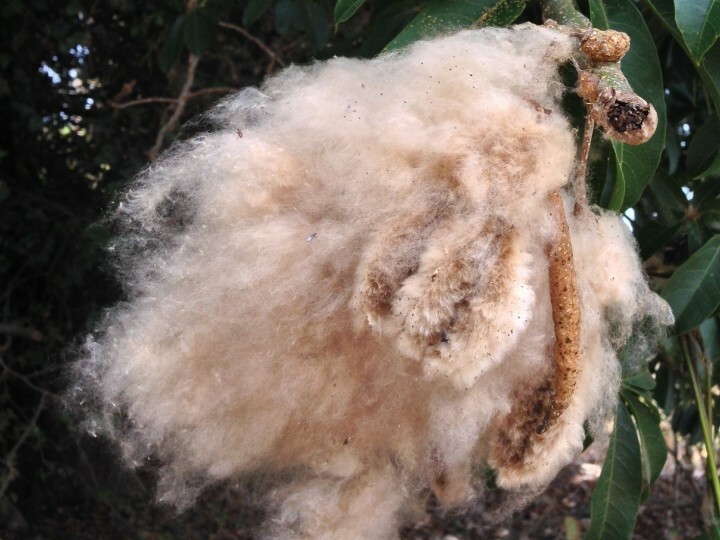 This cotton-like fluff envelops the seeds and allows them to be carried away by the wind. Because of its huge stature, the fromager is often chosen as a resting place by migrating bird species. 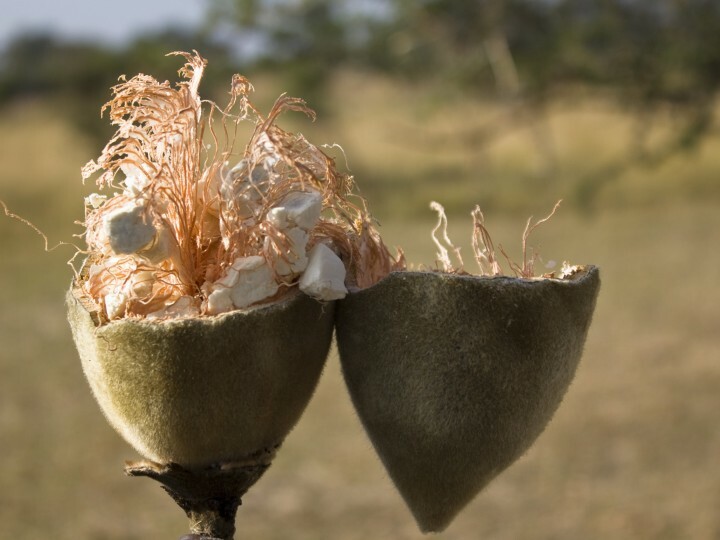 The fluff of the ripe fruit (kapok) is used to fill cushions, pillows and small mattresses. Emptied trunks become pirogues or musical instruments. The buttress roots are used to make doors as well as coffins. 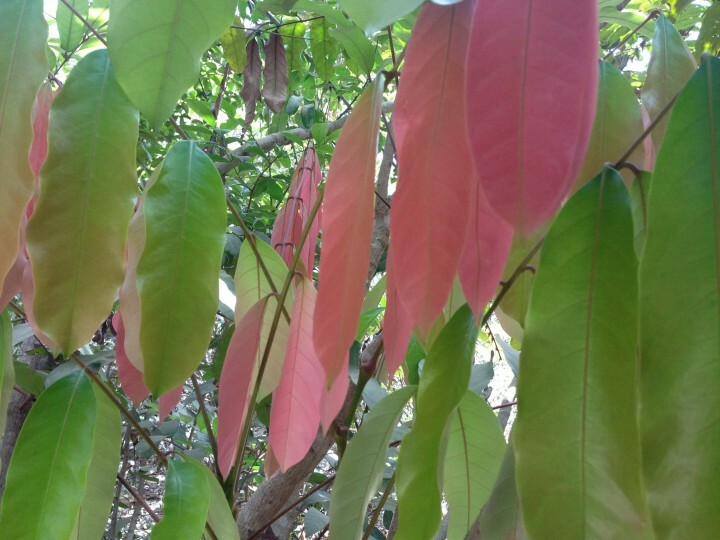 Cattle can feed on the leaves from the tree. And the tea brewed from the bark is renowned as a treatment against headaches, dizziness, constipation, mental troubles and fever. Because of its size, its strong resistance and its longevity, the Fromager is believed to keep all the villages’ stories. It is also called the “Sacred Fromager”, shelter of the genies who protect people from malicious spirits. By the animist Diolas, a Fromager can be used as a house for a fetish (a dwelling place for a spirit). 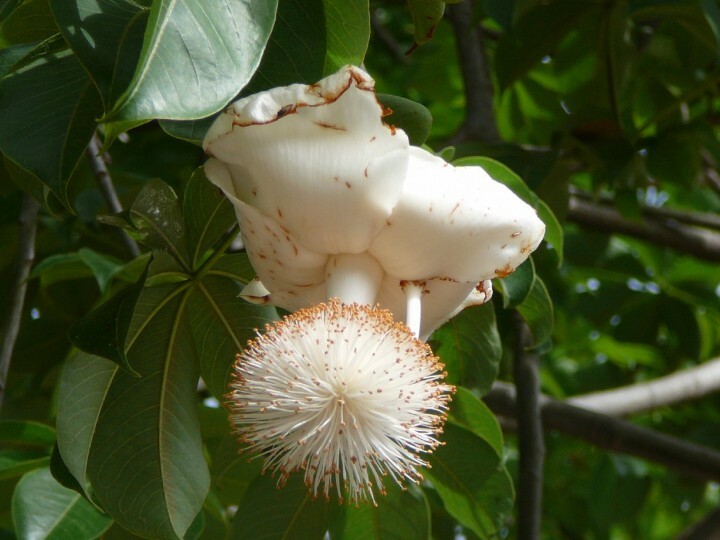 The Baobab or Adansonia digitata, its scientific name, is a species of the Bombacaceae family and of the Adansonia genus. Its name in Diola is Nibissawe. The baobab is an impressive “bottle tree” which can reach 30m in height. Its huge trunk, 4 to 5m in diameter, is filled with a very large quantity of water which gives the tree a resistance to drought. The baobab needs animals to propagate, particularly birds to disseminate its seeds. 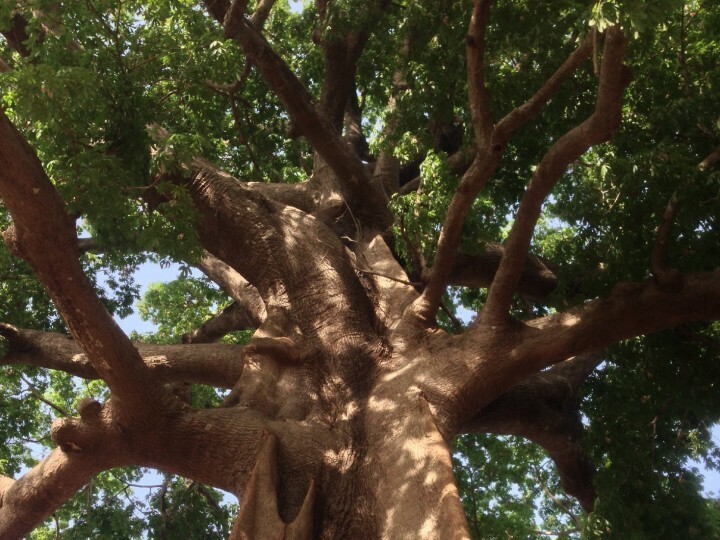 It is a tree typical of Africa and the emblem of Senegal. It often grows in the vicinity of species like the acacia, the tamarind and the albizia. The massive branches of the baobab are a favourite home to bird species including vultures, eagles and parrots. The fruit of the baobab is edible. Their slightly acidic taste is appreciated by animals as much as by people. It is commonly referred to as “monkey bread”. The juice of the fruit, which the Wolof people call bouye, is highly recommended for its vitamins and calcium. The leaves, once dried and crushed into a powder (lalo in Wolof) are rich in proteins and minerals. Lalo is a common ingredient in Senegalese cuisine, such as thiéré (Senegalese couscous). The fibres from the baobab’s bark are also used to make everyday items like handbags. 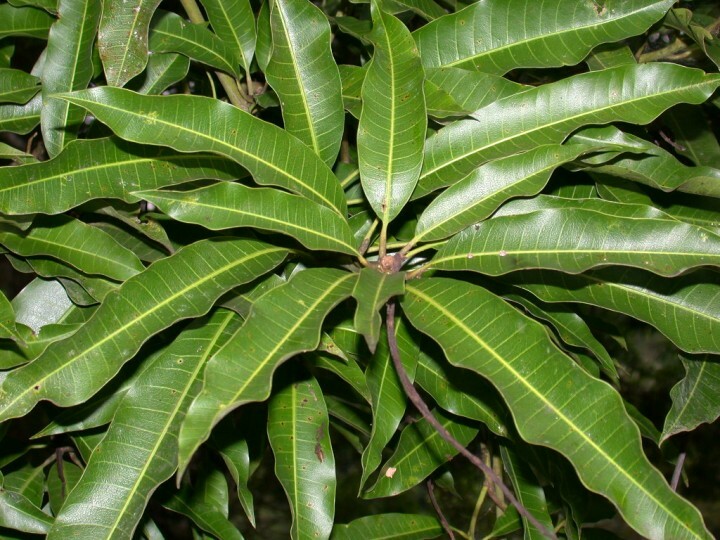 In traditional medicine, the leaves cure malaria and the bark helps regaining weight after childbirth. The baobab holds a truly mythical position due to its life expectancy of more than 1000 years. In the Serere community, the great griots (musicians or poets) are buried inside the trunks’ cavities. It is thus possible to find the tombs of several generations of their ancestors inside baobab tree trunks.